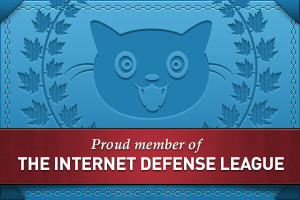 Become an expert on the Star Wars galaxy! Let me start by explaining the reason behind my four thumbs review, I’m not a huge Star Wars fan. Don’t get me wrong I enjoy the movies, but I’m not a fangirl in the same sense or to the extremes others out there are. Having said this, this art book really hit the spot with me, and went a long way to explaining some of the storylines and characters in the movies. Dorling Kindersley have done their usual excellent work when publishing this book and, with the frenzy that is building with the release of Star Wars: Episode VII – The Force Awakens in December of this year, they are sure to have a money-maker on their hands. This book is sure to appeal to fans of any levels, and maybe capture the interest of those new to this Universe. The book itself is divided into topics that cover things from characters to locations, and these are interspersed with ‘key event’ facts and each includes a timeline and a behind the scenes article. Covering all six of the Star Wars films, it also touches on the animated TV series of Clone Wars and Rebels. To say this book has detail would be an understatement, and do it a total injustice. As I said earlier I am not a huge fan, but I found the character pages fascinating; each has a biography which includes some important events of which they were a part and other little pieces of information on their weapons etc. 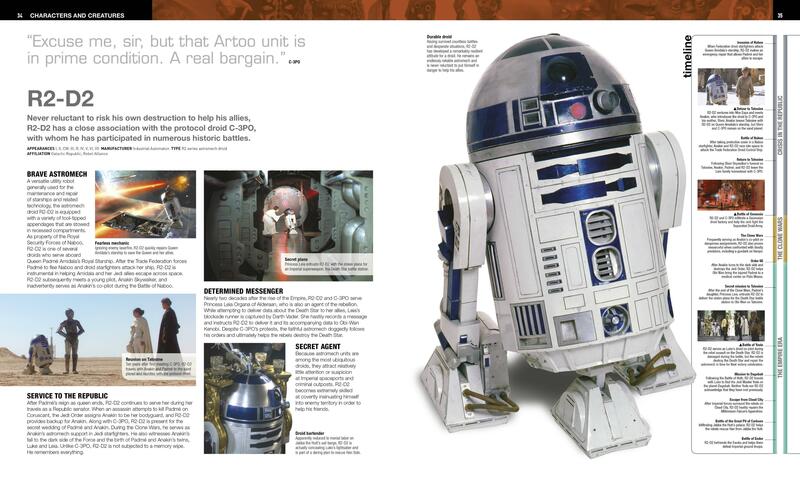 The major characters, such as the R2-D2 unit are given a double page spread, as can be seen in the image below, while lesser character may, in some cases only get a portion of the page they are still included and this is part of what makes this a comprehensive guide to the Star Wars Universe. Apart from the myriad of information that the reader will find within this books pages, they are also given a visual treat in the form of crisp images that are full of detail, from the most important of characters right down to the obscure. I have to admit that my favourite part of this book, along with the foreword by Anthony Daniels, were the character and location sections, as after reading it I now feel I might just be able to hold my own in a conversation with a die-hard fan. I would highly recommend this to all lovers of Star Wars and those, who like myself, enjoy the movies but feel their knowledge is lacking. Meet Dwight, a sixth-grade oddball. Dwight does a lot of weird things, like wearing the same T-shirt for a month or telling people to call him “Captain Dwight.” This is embarrassing, particularly for Tommy, who sits with him at lunch every day. But Dwight does one cool thing. He makes origami. One day he makes an origami finger puppet of Yoda. 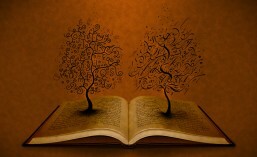 And that’s when things get mysterious. Origami Yoda can predict the future and suggest the best way to deal with a tricky situation. His advice actually works, and soon most of the sixth grade is lining up with questions. Tommy wants to know how Origami Yoda can be so smart when Dwight himself is so clueless. Is Yoda tapping into the Force? It’s crucial that Tommy figure out the mystery before he takes Yoda’s advice about something VERY IMPORTANT that has to do with a girl. 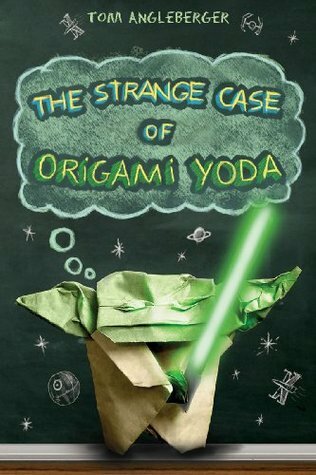 This is Tommy’s case file of his investigation into “The Strange Case of Origami Yoda. I love reading books aimed at children, well sometimes I do and others I just want to throw my hands up in the air and wonder about the wisdom of the Authors. With this book this was not the case, this is a great read, and I don’t care that I’m old and crusty with grandchildren, this is a book series I will keep on my shelves and re-read as a pick me up. 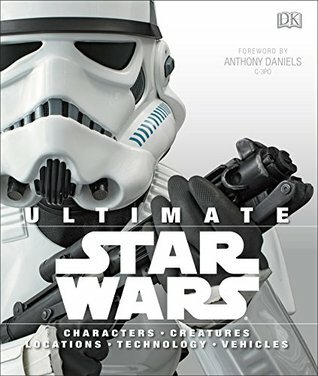 If you are a reader that loves Star Wars, or even if you come from the other camp of Trekkers, this book will have you chuckling and making you wonder how you ever made it through 6th grade yourself without the wisdom of Yoda. If you have no clue who any of the above are, read it just for the sheer enjoyment of being able to be a kid again. This little piece of fun is also a great way to get middle school children invested in reading, as the whole series pulls on characters they most likely recognise from the movies, and what could be easier than that. Like most children’s books there are no complex characters to wade through, no diabolical plot lines, this book is just kids being kids and brooding over the major concern of their time; does an origami Yoda really give sound advice that can be followed? For example: “How do you get out of a potentially embarrassing situation when you’re in the bathroom and you spill water on your pants so that it looks like you peed yourself? Origami Yoda says: “All of pants, you must wet.” Just based on this I must have an origami Yoda as my advice counselor. But for all the fun stuff in this book, the little drawings and side notes as different classmates weigh in on the Origami Yoda conundrum, this book discusses a serious topic in an easy to understand way for children; tolerance. Just because one person thinks another is strange doesn’t mean we are all going to think that way, and this book is able to covey the wonderfulness of difference and tolerance in a world that is becoming more uniform and intolerant. Don’t over analyse this book (hence the short review) just enjoy it, and when you’re done with it use the diagram at the end to create your very own origami Yoda, I know I am going to make a whole army of them. I would highly recommend this book to anyone really, and if you’re thinking of reading this in the dark don’t forget to have your trusty lightsaber on hand to help see the pages young Padawan. I will definitely be reading the rest of this series.